Lead generation is simple. Just find leads and turn them into sales. Now, if the term “easier said than done” has a poster boy, it’s good old lead generation, hands down. Lead generation may be simple, but surely, it isn’t easy. Especially if only one or two people in an organization are tasked to do it. Realistically, lead generation requires a diverse pool of specialists – be it in analytics, marketing or writing. If you’re generally having a tough time producing leads, then it’s either you’re doing it wrong, or you don’t have a team that does it – which, technically, also falls under the doing-it-wrong category. It’s not enough to know you’re not doing it right, however. What you need to know are the signs that yell “YOU NEED A LEAD GENERATION TEAM!”. Here they are. 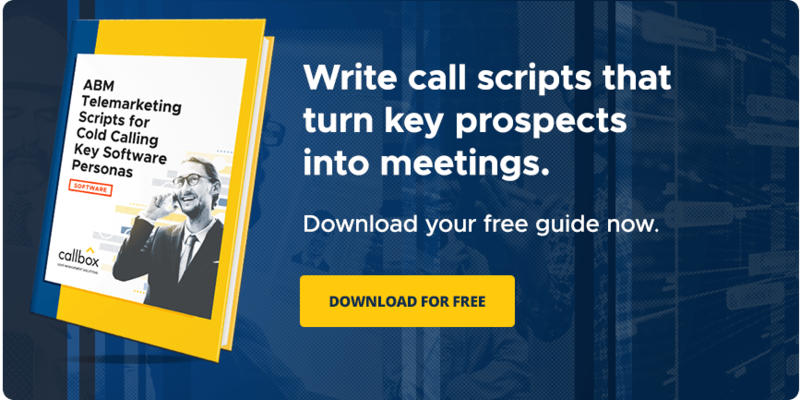 Prospecting – The process of sourcing new leads. Prospecting may involve online research to find net new prospects, or looking into an existing database of contacts. Read more about The Line Between Lead Generation and Lead Prospecting. Connecting – This is one of the most critical stages in the sales process because it can make or break a deal. This is where a lead generation representative makes initial contact with a prospect, gathering relevant information and assessing the quality of the lead. Researching – More specifically, it’s learning more about a prospect and their company. This is necessary in order for the representative to craft and offer more customized experience to the lead. Demonstrating – This is in the latter stage of the sales process, where formal presentation or demonstration of a product or service is done. Usually, only those prospects that are rated as “qualified” earn this privilege. Here’s the usual digital downloads used in in convincing prospects even more. Closing – A lead is just nothing but a lead until a deal is closed. It’s a tedious process to say the least, and sluggish when done by people who need to multitask. But done right and with the right system, it becomes simple, fast, and efficient. In order to do it, an organization needs a team of experts on each stage to carry out the task proficiently and for each stage to progress as seamlessly as possible. The first instance you notice that costs are moving up faster than the price of petroleum when there’s war in the Middle East, your basic instinct tells you it’s time to fire some people. After all, a huge percentage of costs goes to salaries. But before you do that, ask yourself. Which services can’t I live without? Do I really have to fire people, or just make them work like a solid, cohesive group? Understanding this allows companies to focus sales resources where they are needed and to cut waste, not value. The key addressing this issue is to promote efficiency in the sales organization. Have you heard of this phenomenon called social media? Yes? Cool, right? How about blogging and other marketing channels? Do you take advantage of them like you ought to? Yes? Nice. With optimum use, you can achieve maximum brand visibility using these tools. But let me tell you, if taking advantage of all these means you only have one person doing all the writing and blogging and vlogging and posting on social media, then either you’re extremely lucky to have found a human version of the Swiss Army knife, or you’re setting yourself up for failure. What do you expect from a one-man army? Chances are, this guy’s spreading himself too thin to get all the bases covered. You can’t blame poor Mr. Smith for prioritizing quantity over quality because, hey, it’s the numbers that matter. Or so you believed. With a team of dedicated and relentless individuals who clearly know what they’re doing. You’re putting your organization in the best position to achieve all its marketing goals. There are so many proverbs that emphasize the value of team work, but my favorite is (and perhaps the corniest of all), “There is no ‘I’ in ‘team’. Oftentimes, we marvel at the height of achievement individuals can reach singularly. But more marvelous still are the limits individuals collectively break. That’s the essence of the human spirit – in sports, in marketing, in life.